Aperture and iPhoto were removed from the Mac App Store and are no longer available for download, checks of the storefront showed on Friday, signaling an end to two long-running product lines. 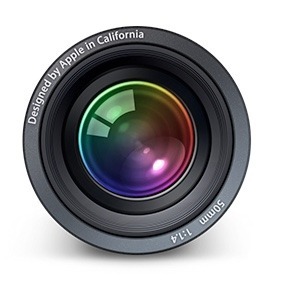 Apple on Thursday notified customers who have previously purchased its Aperture photography software that the application will soon be removed from the Mac App Store, and invited those users to try the new Photos app as part of the OS X 10.10.3 public beta. Without explanation, the beta iCloud.com Photos application is no longer available to access via the website, as a vague "early 2015" launch date for a new Photos for OS X app also looms. Adobe late Tuesday released an update to its Lightroom image processing and management software that includes a new tool for importing photos from Apple's iPhoto or Aperture, both of which will be discontinued in favor of a unified OS X Photos app in 2015. Taking advantage of Apple's decision to discontinue both Aperture and iPhoto in favor of the upcoming OS X Yosemite app "Photos," Adobe on Monday released a quick reference guide to migrating image files from Apple's program to Lightroom. On the heels of Apple's announcement that it will no longer update its professional photography software Aperture, the company issued a round of updates for many of its remaining pro apps, which the company has said will continue to live on. Apple on Friday revealed that development on Aperture, its professional-grade photo editing application, has ceased, leaving Logic Pro and Final Cut Pro as its only remaining flagship pro-oriented Mac apps. Innovative focus-shifting camera maker Lytro, whose products have been featured at Apple's retail stores, will expand its lineup this summer with a new, more full-featured standalone camera dubbed the Illum, aimed at professionals and high-end enthusiasts. Joining Final Cut Pro X on Thursday, Apple's professional-grade Logic Pro X, Motion and Compressor applications for Mac were updated alongside the start of sales for the new Mac Pro desktop. Apple has revealed its professional application suite -- Aperture, Final Cut Pro X, and Logic Pro X -- has been optimized for the company's upcoming next-generation Mac Pro, and that the desktop computer will bring "unparalleled power" for the software. Apple on Thursday released two new software updates that bring improved printer Canon printer compatibility for OS X and increase the RAW compatibility for iPhoto '11 and Aperture 3. An update pushed out on Wednesday brings Aperture 3 and iPhoto '11 support for RAW image files from four Fujifilm digital cameras. Apple on Tuesday released a number of updates for its desktop operating system, including bug fixes for the Aperture image editing program and a handful of maintenance updates which add printer drivers to OS X.